On November 20, 2018, Hon. Deborah Kaplan, the Administrative Judge for the New York County Supreme Court, announced the appointment of two new justices who will be assigned to the Commercial Division in New York County effective January 1, 2019: Hon. Joel M. Cohen and Hon. Andrew S. Borrok. Justice Cohen and Justice Borrok will succeed Justice Eileen Bransten and Justice Charles E. Ramos who are both retiring from the bench in December after many years of service in the Division. The Administrative Judge’s announcement notes that Justice Bransten and Justice Ramos will both be staying on as Judicial Hearing Officers. Prior to his appointment to the bench, Justice Cohen was a commercial litigator for 30 years at Davis Polk & Wardwell LLP in Manhattan. He was a partner of the firm for 18 of those years, and served as co-head of the firm’s global litigation department for five years. Justice Cohen was initially nominated by Governor Cuomo to serve as a judge on the New York Court of Claims in 2018. He was confirmed by the New York State Senate in June 2018. Justice Cohen is a graduate of Georgetown University Law Center. 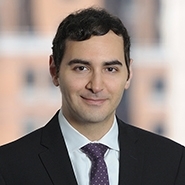 Justice Borrok served on the New York City Civil Court from 2015 to 2017 where he presided over bench and jury trials in both the Criminal and Civil Courts. In 2017, he was elected to the Kings County Supreme Court and has served as a Justice of the Supreme Court in both Kings County and in New York County. 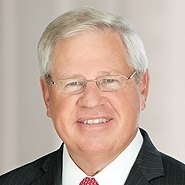 Prior to his judicial career, Justice Borrok was general counsel to a large real estate partnership, served as Of Counsel at Arent Fox LLP, and was associated with Proskauer Rose LLP. Prior to attending law school, he had a career in business, owning, managing, and operating large real estate projects in New York City. Justice Borrok is a graduate of Georgetown University Law Center and Columbia Business School. With the addition of Justice Cohen and Justice Borrok, the Commercial Division in New York County will be able to draw on their many years of experience in business and in commercial litigation.